You are buying a customized Micro-fibre Kobe Warm Up Pant with your choice of lettering on the embroidered logo. 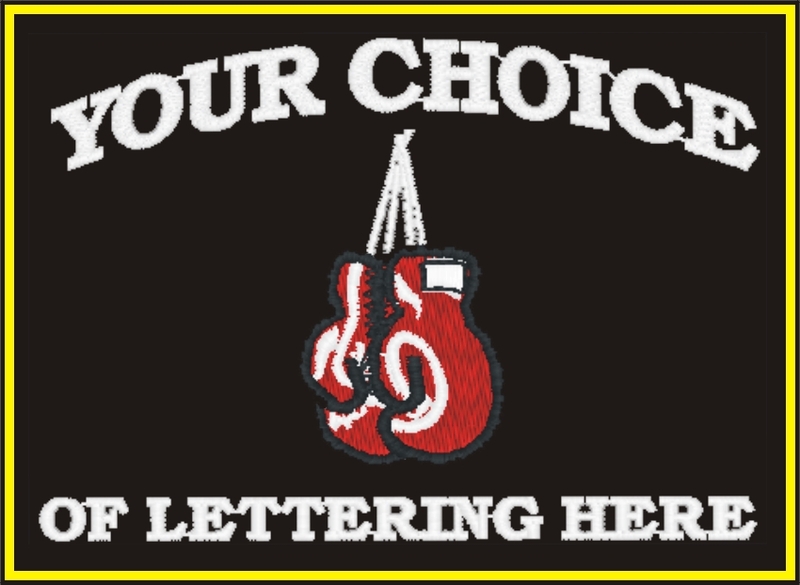 The left leg has an embroidered Boxing Glove on with the option to add your own lettering around the design, if you choose. Add your Name/ Nickname/ Club etc... Just tell us what lettering you want to appear on the item. Makes a great fashion item for any aspiring boxer's wardrobe. Makes a great gift for any coach or boxing parent. These pants are very comfortable and perfect for going to the gym or during the workout. They are a must have for your workout / hangout wardrobe! **All chest measurements are actual garment measurements. Click the button below to add the Personalized Boxing Warmup Pant to your wish list.